Air travel is considered the safest mode of conveyance having the least mortality incidents among all. The low incident rate but high toll in each aviation accident makes it necessary that airlines learn from the mistakes and improve their systems. Sadly, it took two Boeing 737 Max crashes and lives of almost 350 passengers for airlines to pay attention. A slight turbulence during the course of flying can send down shivers among the passengers. There is no way to control the wind, but it is possible to control the flight of an aircraft in that wind. On one hand, airlines are vying for cost reduction by cutting down on the number of pilots in a cockpit by deploying full-fledged automation. Whereas, on the other hand, skepticism is increasing day by day on the viability of a completely automated flight. While, automation was introduced to facilitate efficient flying, the numbers of crashes caused due to technical errors are narrating a different story. A major portion of any flight is operated in the auto-pilot mode and relies heavily on the installed software applications. For a flight to be completed smoothly, it is highly essential that all the applications perform glitch-free. Even for manual flying, pilots are dependent on data received from the instruments for making judgement calls. Considering everything, it is of grave significance that each software functions the way it is supposed to, since even a tiny deviation from its designated route may prove to be of serious consequences. 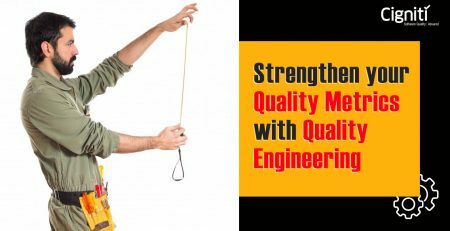 To guarantee this, a Quality Engineering approach is crucial. With Quality Assurance, constant monitoring, and factual predictions at its core, a Quality Engineering strategy can be effective in crash proofing an aircraft. Is AI getting too smart to handle? A 2018 study revealed that only under 30% of customers are willing to board a fully autonomous flight, while more than 60% of the flyers will not prefer to travel on an autonomous commercial airliner. Following the recent crash of Ethiopian Airline’s Boeing 737 Max, countries across the world have grounded the aircraft temporarily. Investigating black box data has shown that the reason behind the crash was a faulty sensor in the aircraft’s anti-stalling feature, which is known as Maneuvering Characteristics Augmentation System or MCAS. In order to prevent stalling, MCAS is supposed to adjust the aircraft’s horizontal stabilizer by lowering the angle of attack and forcing down the airplane nose. It takes control of the yoke and pushes it forward to obtain the desired angle if its sensors detect an imminent stall. The erroneous sensors in the crashed 737 Max’s MCAS mis-assessed stalling and resulted in the unnecessary activation of its anti-stalling system. The Wall Street Journal reported that pilots controlling the crashed Boeing 737 Max had followed the specified emergency protocol but failed to regain control of the aircraft. This again fires up the debate about the extent to which AI should be given control. Then again, human errors cause the most aviation accidents, providing more credibility to an AI-led aircraft. Many industry big-wigs believe that despite the Boeing crisis, automation will only sprawl its prominence and make flying safer for the air travelers. The vision of airliners to deploy completely autonomous aircrafts is not a longshot anymore. It is on its way of becoming the reality and the future of flying. The industry is seeing a surge in the investments in autonomous technologies, while there is a rising interest in unmanned aircrafts. Innovations and development of software supporting the automatic aircrafts are already underway. Achieving the human-level of scrutiny and detection sense will be a tough nut to crack. This is why, there is a high chance that human presence cannot be obliterated entirely from the cockpit, but the role may be limited to supervision only. The challenges in reaching the desired extent of autonomy mainly stem from the areas of navigation, fault tolerance, sight detection for mid-air collision and reliability. In addition to these design-specific obstacles, the prominence of software in an aircraft also opens the doors for several performance, functionality, and security related issues. If the system starts acting out weirdly, the absence of a human pilot may cause fatal consequences. The building blocks to a fully-autonomous airplane have been in the picture for decades. In the current technology environment, complete elimination of a human presence seems unattainable. In case the machines go bonkers, the airplane may need to be operated manually. Probably after a few decades, technology will reach that milestone where it will be feasible to shift the control entirely to the machine. The initial miles in this journey need impeccable performance, smooth functioning, and error-free judgement on the software’s part. By adopting Quality Engineering services in the conceptional, developmental, and operational phases of an SDLC, it can be possible to take that leap from semi-autonomous to fully-autonomous. When every element of a code is working in tandem with each other in the desired manner, the software turns out to be flawless, establishing trust among the end users. 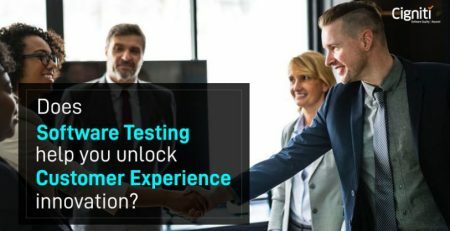 To accomplish that flawlessness, Quality testing has to get behind the wheels and spearhead the process in the direction of continuous quality assurance as well as detailed observing to identify patterns and predict further actions. The occurrence of a failure cannot be ruled out completely. However, a seamlessly working application diminishes the probability to negligible. An aviation accident can take place due to a number of factors – some are manageable while other are out of our hands. It is smart to mitigate the manageable factors with software Quality Engineering, which may be the answer to the woes of airplane designers. Along with machine learning, we are headed toward an AI-powered future with Quality Engineering solutions integrated at the core. Cigniti’s Quality Engineering services cover the Software Testing Life cycle, Test Consulting and Test Advisory services, Test Implementation, and Managed Testing services including Test Environment Management and Test Data Management. Leveraging process frameworks, methodologies, and tools, we help customers across various industries achieve first-time-right solution releases, quality improvements, and deliver a superior customer experience. Connect with our team of experts and leverage our QE expertise to successfully achieve your Digital Transformation objectives. 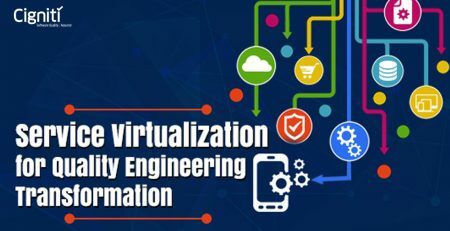 How Service Virtualization can help you realize your Quality Engineering Transformation Journey?